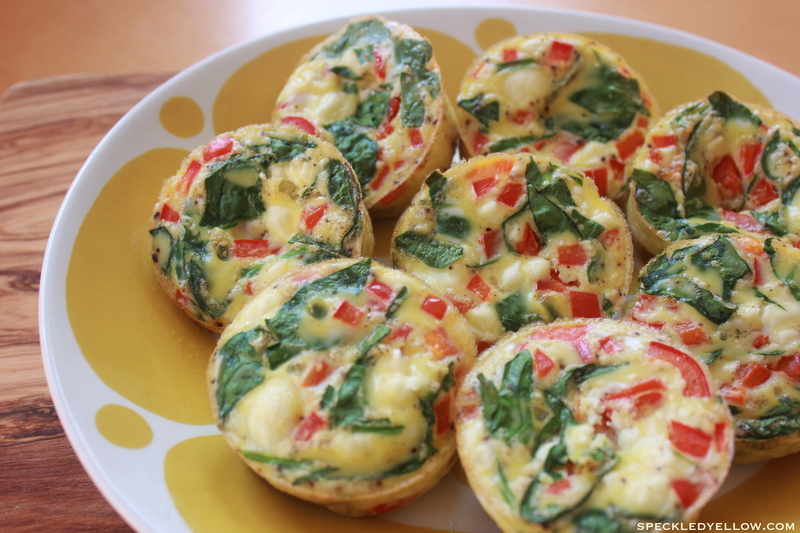 All I can say is YUM to this fluffiness of eggs, veggies, and cheese! Have one for breakfast or take one to go for a snack. These scrumptious scrambled egg muffins are a perfect way to enjoy a speck of breakfast any time throughout the day. * Make sure to have a muffin pan! My muffin pan holds 12 muffins. 5. Coat your muffin pan with non stick spray and pour the mixture in!! 6. Finally, pop that muffin pan into the oven for 20-25 minutes. Use a fork to make sure they are finished and there is no runny gooey stuff in the middle. Very useful info specially the closing phase 🙂 I maintain such information much.